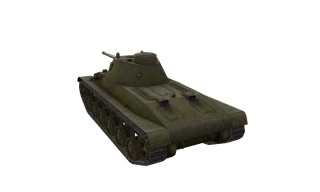 The A-43 is a Soviet tier 6 medium tank. The project was developed by the Construction Bureau of Kharkov Komintern Locomotive Factory No. 183. 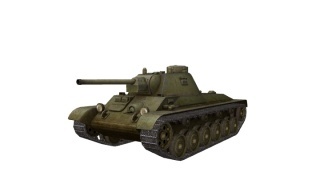 The vehicle was designed to replace the T-34. The development was based on the results of examining the most modern German vehicles of that time. The mockup committee studied the materials and proposed a number of improvements. However, after the beginning of war, all work on the vehicle was discontinued. The A-43 leads to the A-44, and the KV-13. Great mobility, poor armor, lacklustre penetration and a 76mm gun putting out about 115 damage at 18.18 rpm and 1.9 second aim time (with the second turret). All these should scream "M4A3E8 Sherman" to the experienced player and in many ways, this is what this Soviet medium is. Featuring a better silhouette than its American counterpart but limited gun depression, drivers should strive for more active flanking encounters, as they cannot rely on their gun depression and/or mantlet like the Easy Eight can. Go for enemy heavies/TDs and make them spin helplessly as the 76mm (or 57mm) makes short work of their health. 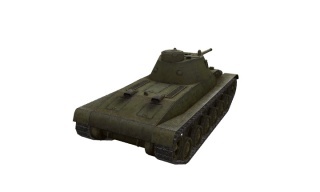 While players used to the T-34 version of the 76mm may be turned off, the penetration of the gun was buffed in patch 8.8 and the good RoF with the 2nd turret makes it a viable choice next to the 57mm. While the 57mm has a bit lower penetration than the 76mm, it makes up for it with better dpm (highest dpm of all tier 6 and 7 mediums, third highest to Obj 416 and T-34-85M including tier 8), higher premium penetration, and much better accuracy, so for players who are confident in shooting weakspots and picking the right target, the 57mm gun is the better choice. The good news is that this tank does not have that much to grind. All the guns and top radio carry over from the T-34. 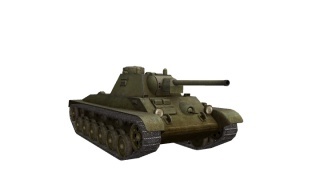 Engine can be researched from the T-150, KV-2 and KV-3. If you don't have it, start with this - you need the agility! Next comes the suspension for even more agility. Finally, mount the turret for a HP, view range and an RoF buff. 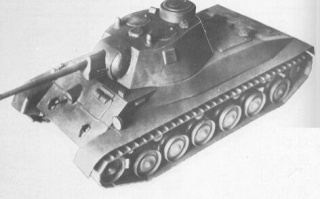 In January 1941 the A43 project, a modernised variant of the T34, (also known under designation T34M) was proposed. Proposal came from Factory No. 183 where first two prototypes were scheduled for poduction at March 1941. The new tank was to be superior to T34, but this superiority in the end played a negative role in its fate. 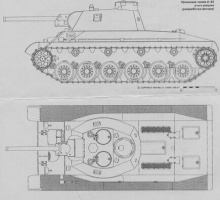 The Christie suspension was replaced by torsion bars which resulted in the ground clearance of the T34M being increased by an additional 50mm. 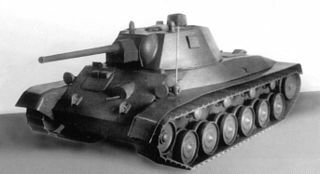 In April 1941 there were three hulls ready, and in may there were as much as 50 pressed turrets for T-34M ready to be used. The problem was in the powerplant, as the used V5 diesel were not yet ready. This caused delay to the final assembly, and with the progress of the war, which put soviets in a desperate need for "numbers", the project was abandoned. It was concluded that any change in production plans would affect the current production which was out of the question. М.Свирин “Броневой щит Сталина. История советского танка 1937-43 гг.” Яуза/ЭКСМО. 2006 г.
М.Свирин “Самоходки Сталина. История советской САУ 1919-45 гг.” Яуза/ЭКСМО. 2008 г. This page was last modified on 16 March 2018, at 13:11.